Osceola County (pop. 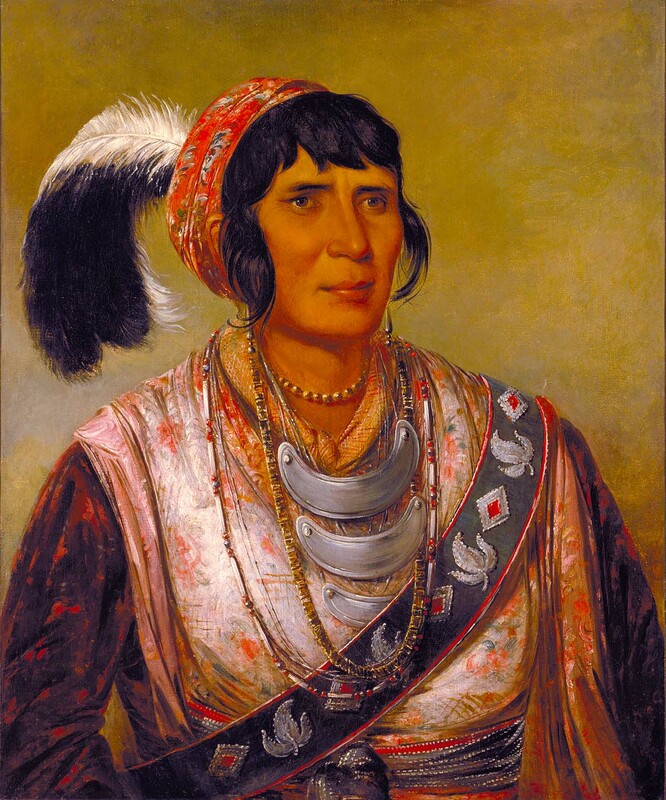 23,528) was named for Osceola (1804-1838), leader of the Seminole Indians in Florida. He was born as Billy Powell, of mixed Creek, Scots-Irish, and English ancestry. Florida and Iowa also have Osceola counties. The 216-mile-long Muskegon River flows through Osceola County in a southwesterly direction on its way to Muskegon Lake and Lake Michigan. The county seat of Osceola County is Reed City (pop. 2,425), located at the crossroads of U.S. Highways 10 and 131. Highway 10 crosses Michigan, Wisconsin, and Minnesota – interrupted by Lake Michigan. 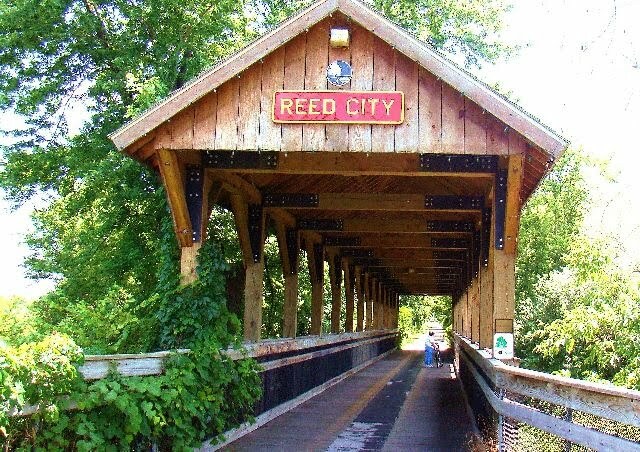 Reed City is also at the intersection of two “rails-to-trails” trails: the north-south White Pine Trail and the east-west Pere Marquette Trail. The White Pine Trail is 92 miles long. 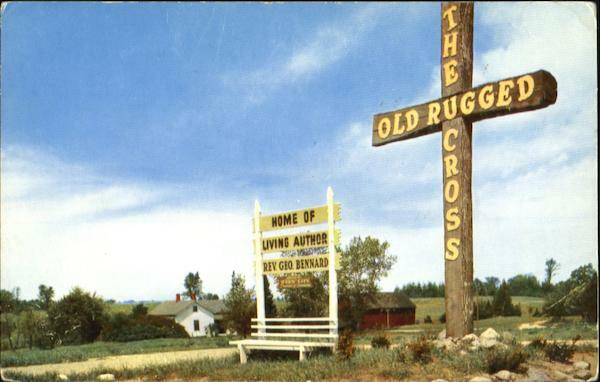 George Bennard (1873-1958), composer of the hymn “The Old Rugged Cross,” retired in Reed City, which now has a small museum on his life and work. He is buried in Inglewood, California. This entry was posted in Michigan and tagged Bob Holihan Shuffleboard Tournament, Evart, George Bennard, ODPC Funfest, Pere Marquette Trail, Reed City, White Pine Trail.